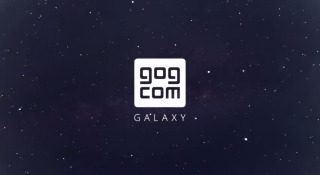 GOG.com today announced a new gaming platform, called GOG Galaxy, that will work as a client for the service's DRM-free libarry and will help connect players for online gaming. The news comes from this morning's CD Projekt RED & GOG.com Summer Conference, where we also learned a release date for The Witcher 3: Wild Hunt . According to GOG.com, the service will auto-update games in your GOG.com library, though the company stresses that you'll still be able to manually download and apply patches if you prefer. Multiplayer games with a single-player component will be available for play offline, and Galaxy will also enable cross-play between services such as Steam, the developer said. No release date is available for the service at press time, but the service was announced alongside The Witcher Adventure Game closed multiplayer-only beta. You can sign up for the service, and that beta, at the GOG Galaxy site .